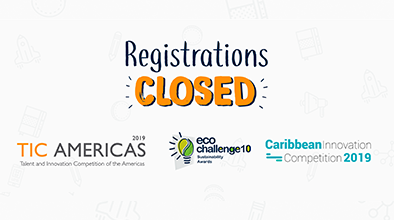 Washington DC, September 26, 2018, YABT (Young Americas Business Trust) and the OAS (Organization of American States) are pleased to officially announce the opening of the VII edition of the Caribbean Innovation Competition (CIC 2019). With six previous editions it has become a promoter of innovative ideas developed by young people, characterized by providing useful tools to participants in all stages of the process, and focusing on training and advice aimed at ensuring the best performance of the participating teams. The CIC is an international entrepreneurship competition and start-up accelerator for young people in the member states and associated states of CARICOM, since its inception in 2012, it has had a special focus on creating support networks for entrepreneurs in the Caribbean. Thanks to CIC 2019, a rising community of young entrepreneurs will be able to access new tools and support networks that transform innovative dreams into an absolute reality through connection with mentors, additional resources, and online training. Young Americas Business Trust and the Organization of American States work together with a large collaborative regional support network of national partner institutions that have been supporting the CIC's efforts since its inception. This network is made up of more than 150 collaborators, which include governments, national ministries, NGOs, public and private sector institutions, universities and young people in the participating countries that seek to offer valuable opportunities to future generations that will be the leaders of the future and who will provide solutions to the different challenges of tomorrow. Since the first edition of CIC 2012 in Barbados, 1,182 proposals have been received from 1,373 young people from 20 different countries. In the CIC 2018 edition, the winning projects (Red Diamond Compost, Bresheh, and KariBites) focused on agro-business, design-manufacturing of 100% customized products, and electronic applications. 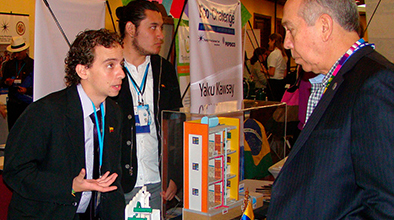 Since the CIC follows the model of TIC Americas, it is consolidated as a great opportunity that will benefit the participants and finalists with business networks, contents, knowledge, market development, financial resources and investors, visibility and international recognition, as well as mentors and technical support. Those interested will have until January 31, 2019, to register their projects following the requirements of the call, the final will be held within the framework of the 49th General Assembly of the OAS. For more information, contact us via email: ticamericas@yabt.net. Young Americas Business Trust (YABT) is an international non-profit organization, founded in 1999, working in cooperation with the General Secretariat of the Organization of American States (OAS), by supporting its objectives and the mandates of the Summit of the Americas, to develop and implement programs and activities that foster entrepreneurship, innovation and leadership in youth in the Americas - combating poverty and creating more opportunities for young people by involving them in the implementation of the United Nations Sustainable Development Goals.